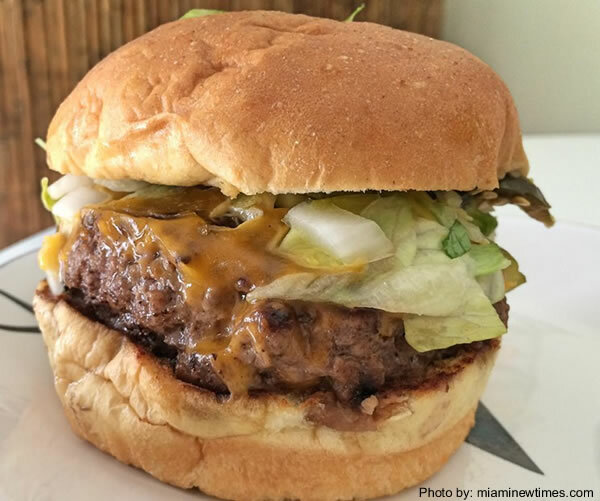 South Beach's Cheeseburger Baby is now also located at NE 79th Street and NE Second Avenue. A food truck-sized venue it occupies 260-square feet. Owner Stephanie Vitori capitalizes on customers, who pass by Cheeseburger Baby on their way to work, offering them cortaditos and breakfast sandwiches. Other reasonably-priced items on the menu include turkey burgers, BLTs, grilled cheese, and Philly cheese steaks. All ingredients are fresh-bought the same day, and cooked-to-order.